Hawaii Five-0 makes its much anticipated return to television on Monday evening, September 19 (10 p.m.) on CBS and Global. Here is executive producer Peter M. Lenkov, the pride and joy of Chomedey Laval, with a little preview. It was no big surprise to learn today that THE TEAM 990 has hired former NHL players Sergio Momesso (above) and Bobby Dollas (below) to provide colour commentary for the station’s full season coverage of the Montreal Canadiens, working alongside play-by-play voice John Bartlett. 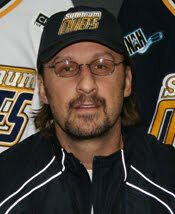 A native of Madison Avenue in NDG, Momesso was drafted 27th overall in the 1983 N HL entry draft by the Montreal Canadiens. He went on to win a Stanley Cup with Montreal in 1986, one of the highlights of an NHL career that spanned 13 seasons. Momesso also worked under former Habs General Manager Bob Gainey for two seasons in player development for the team, and served as an assistant coach with the Hamilton Bulldogs. Dollas, who also hails from Chateauguay, was a first round draft pick of the Winnipeg Jets in 1983. His 16-season NHL career included stops in Quebec, Edmonton, Calgary and Ottawa. Dollas has also represented Canada internationally, winning a gold medal at the 1985 IIHF World Junior Championships. Momesso did an excellent job alongside Rick Moffat on CJAD last year. Dollas has been a regular contributor to THE TEAM 990 for a few years. They will work games on a rotating basis, which should bring an interesting perspective. THE TEAM 990 became the home of the Habs earlier this year when it acquired exclusive English radio broadcast rights to all of the Montreal Canadiens games in a landmark seven-year deal. We are still awaiting word on plans for a pre-game show. 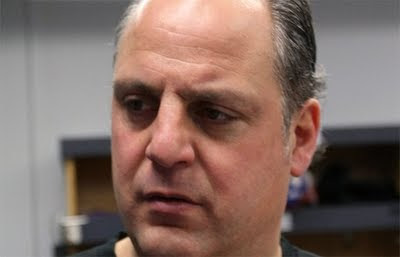 Tony Marinaro will handle post-game duties. It will also be interesting to see what role former Habs tough guy Chris Nilan plays. He recently relocated here from Boston on a permanent basis and settled down in Dorval with his girlfriend. James Davidson, who serves as his Montreal representative, expects Nilan to be very busy on radio and making public appearances. He is presently at the Toronto International Film Festival to promote a documentary called The Last Gladiators in which he is prominently featured.